Take your portable labeling operations virtually anywhere with the Datamax-O'Neil RL4, one of the most durable portable label printers on the market. 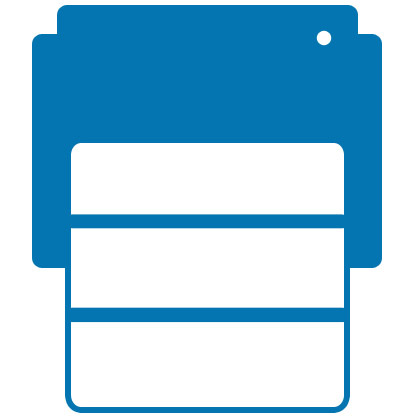 The RL4 supports labels up to 4" wide, fantastic for shipping and inventory labeling applications, and the 4" per second print speed maximizes labeling productivity. The RL4 not only offers strong durability, but great ease of use. A recessed LCD display on the top of the unit provides easy-to-read status messages, as opposed to deciphering blinking LEDs. The reinforced hinge has been designed for one handed label roll replacement, minimizing downtime due to media swaps. Multiple communications methods make the RL4 easy to deploy and integrate in a wide variety of installations. The printer comes standard with wired serial and USB interfaces, and optional Bluetooth or 802.11a/b/g wireless connectivity, ensuring easy communications regardless of your hardware needs. ZPL, CPCL, DPL, IPL, and EZ Print support allows the RL4 to act as a drop-in replacement for many legacy printers. 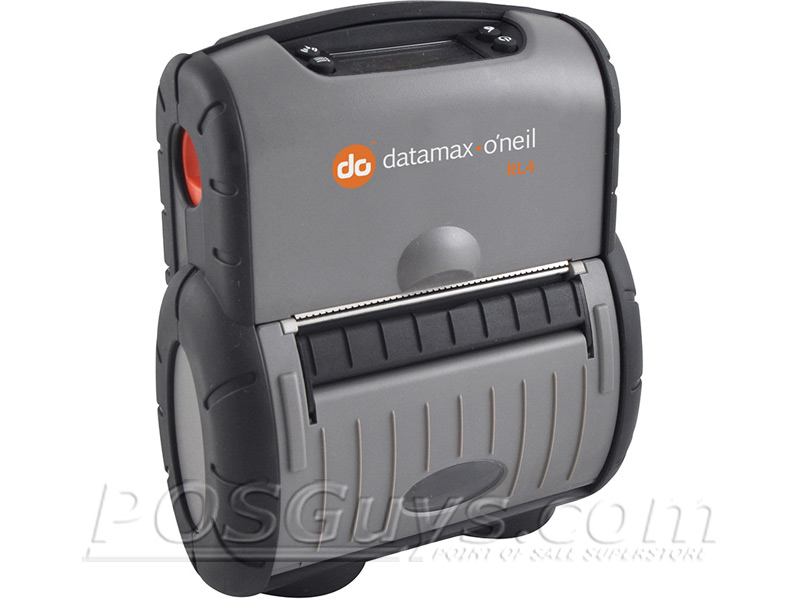 Datamax-O'Neil built the RL4 with warehouse and industrial use in mind, reinforcing the printer to withstand rough use. Rubberized corners and sturdy internal components protect the RL4 from multiple 6-foot drops to concrete. Latches and hinges on the RL4 are made from die-cast magnesium, adding protection from drops as well as repeated use. 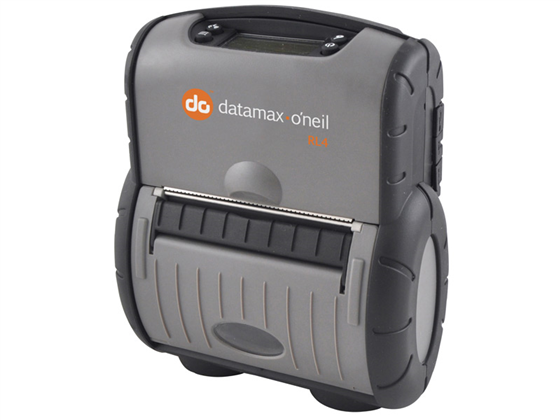 The mobile printer also ships with an industry-leading 2-year warranty, making the Datamax-O'Neil RL4 the smart choice for rugged mobile labeling. Paper Dimensions 2.65” (67 mm) O.D. The RL4 is extremely rugged, satisfying demanding United States Military Standard requirements and testing to make it the first portable label printer to be MIL-STD-810F certified. This is a specification tailored specifically for DoD (Department of Defense) applications but the standards lend themselves equally to commercial applications. Some examples of testing include: humidity, high temperature, low temperature, shock, leakage, explosive atmosphere, fungus, salt fog, gunfire vibration, acidic atmosphere, sand and dust, rain, solar radiation, and temperature shock. Find it faster! Click here to compare RL4 models by feature. Browse all RL4 models now or call 800.903.6571 for assistance.